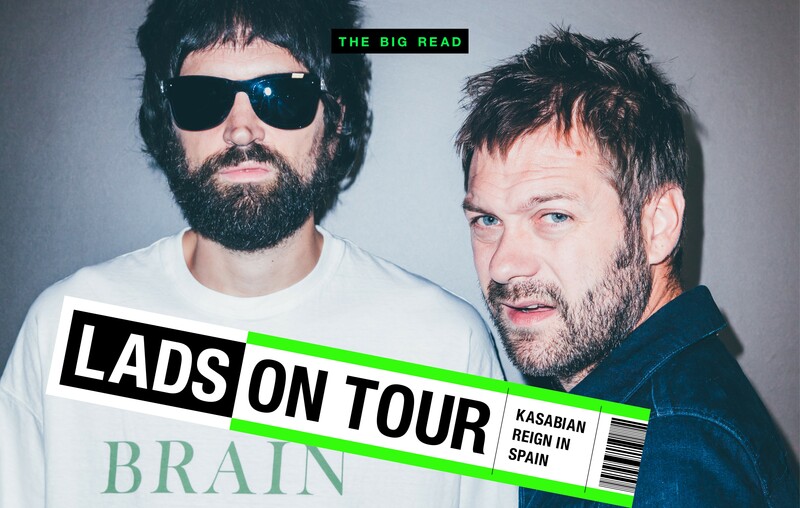 It’s the day after England’s emotional, last-gasp defeat to Croatia in the World Cup semi-final and noted football fanatics Kasabian are bouncing back the best way they know how: by playing a huge festival headline slot at Madrid’s mammoth Mad Cool festival. 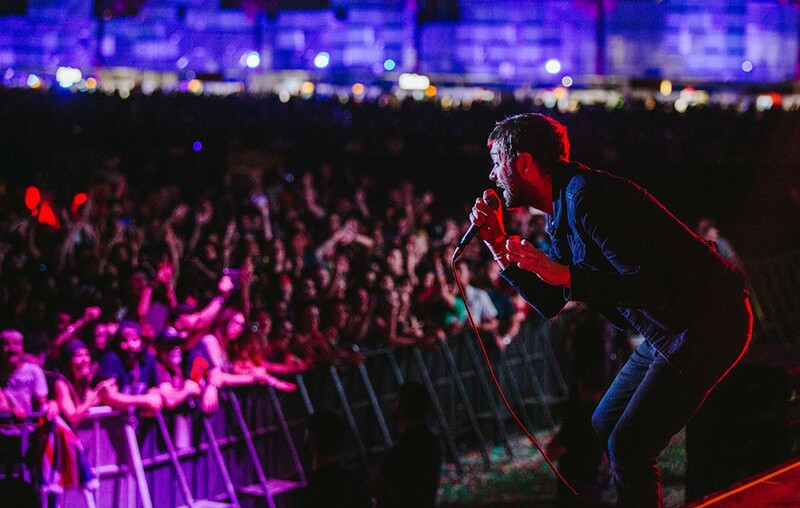 Backstage, frontman Tom Meighan is sipping a cup of pre-show Yogi Tea that may be helping his voice but is doing nothing to calm his hyperactive personality. He shrugs off last night’s result. “It is what it is, we were never going to win it,” he shrugs. Right now he’s more interested in a bright orange graffiti marker somebody’s left lying around. “I haven’t seen one of these in years!” he cries with glee, grabbing it and setting about tagging every sheet of paper he can find. 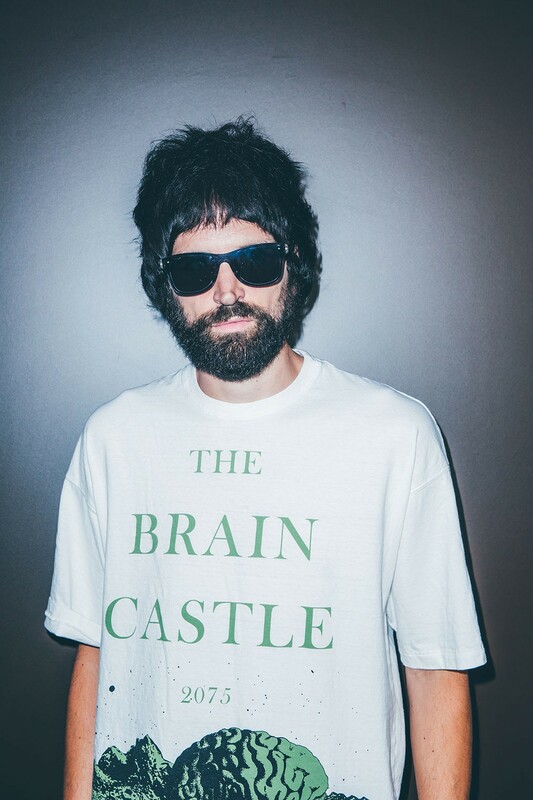 Bandmate Serge Pizzorno cuts a more laidback figure. He’s laughing to himself at the length of the seemingly endless guitar solo we can hear emanating from Pearl Jam, who are currently onstage. “He’s shredding out there, isn’t he?” he grins. “The rest of the band must be like…” and he mimes impatiently tapping his watch. Following an established heavyweight rock act like Pearl Jam might be intimidating for lesser souls, but these days it comes naturally to Kasabian. They’re currently in the midst of a summer of huge festival dates and arena shows, including a first-ever performance in Genoa – a special one for Pizzorno, who used to visit family there ever summer. “It’s sort of a second homecoming,” he says, following all the shows they’ve played in Leicester down the years. 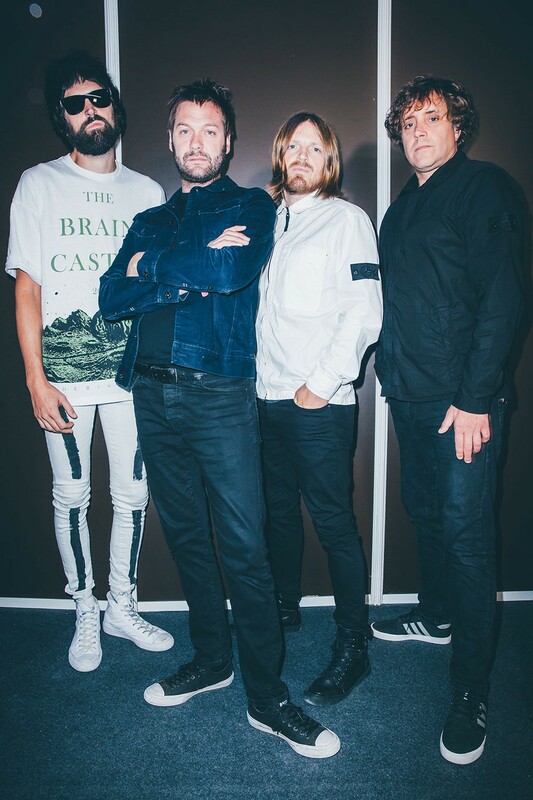 Kasabian are one of a very small number of bands who’ve graduated to headliner status in recent years, and Tom sparked headlines at the Isle of Wight festival by claiming that the main problem is that new bands “aren’t good enough” to play at the top of the bill. You also get the sense that Serge is motivated by a pathological fear of becoming a heritage act. Later tonight, some of the songs that get the best reaction are from last year’s ‘For Crying Out Loud’. Opener ‘Ill Ray (The King)’ as well as the rollicking ‘Bless This Acid House’, the exuberant ‘You’re In Love With A Psycho’ and the superb ‘Comeback Kid’ are all set highlights. Last year, Tom pointed out that as headline acts of their era go, “There’s only us and the [Arctic] Monkeys left on that level.” Appropriately enough, the Sheffield band will headline in Madrid the day after Kasabian play. Serge pays tribute to their new track ‘Four Out Of Five’ – “Props to a man that can put the word ‘taqueria’ in a song.” – and also points out that they’ve earned the luxury of making a relatively leftfield, single-less album. 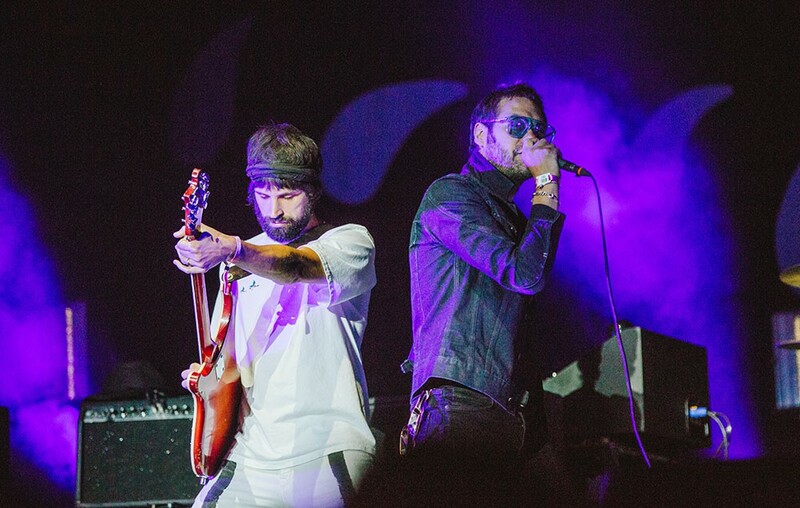 As for Kasabian’s own journey, Serge says that the band – and in particular Tom – are in better place than they were this time last year. Around the release of ‘For Crying Out Loud’, the singer spoke frankly about his miserable year that had seen him split with his girlfriend, the mother of his child. That excitement and energy must be easy to become hooked on, and hard to replace when you have downtime? As much fun as they’re having on the road, soon thoughts will turn to the next record, and the next three or four big tunes they can add to their arsenal. But not too soon, if Serge is to be believed. It sounds like it means the chance for Kasabian to start a whole new era.